When it comes to getting a product out to market,there are several widespread frameworks that organizations use in order to create a fluid and efficient workflow. One of those frameworks is Scrum, which is part of the popular Agile methodology. We know what you’re thinking. Scrum and Agile – that’s developer stuff, right? After all, Agile is an iterative software development approach used to launch products. Why should we care? The reality is as designers we have to understand Agile and Scrum because it’s likely we’re going to be working in organizations that use that methodology. 71% of organizations report using agile approaches for their projects so it is in any designer’s best interest to get to grips with the approach. Many companies have found success with Scrum, especially when it comes to changing the way they work and how they get things done. A report by PwC on Agile Project Delivery Confidence found that Agile projects are 28% more successful than traditional projects. With so many organizations using the scrum framework in their own way, including Justinmind, we’re going to give a run down on all things Scrum and how UX and UI designers alike can get the most out of the methodology. Get on top of Scrum with a little prototyping. Download Justinmind. The Scrum Guide defines the Scrum framework as a way to manage work on complex products. The foundation of Scrum is empirical, which is to say that any knowledge gained comes from experience and decisions are made based on what is already known. “Experience is the best teacher, and the scrum cycle is designed to provide you with multiple opportunities to receive feedback—from customers, from the team, from the market—and to learn from it.” – Chris Sims, “Scrum: a Breathtakingly Brief and Agile Introduction”. Take a look at how we applied Scrum to our own website design process. The Product Owner deals with delegating tasks, prioritizing tasks to achieve goals, optimizing the value of the work of the Development Team and ensuring that all tasks are clear to everyone. The Development Team are those involved in delivering the tasks delegated by the Product Owner. 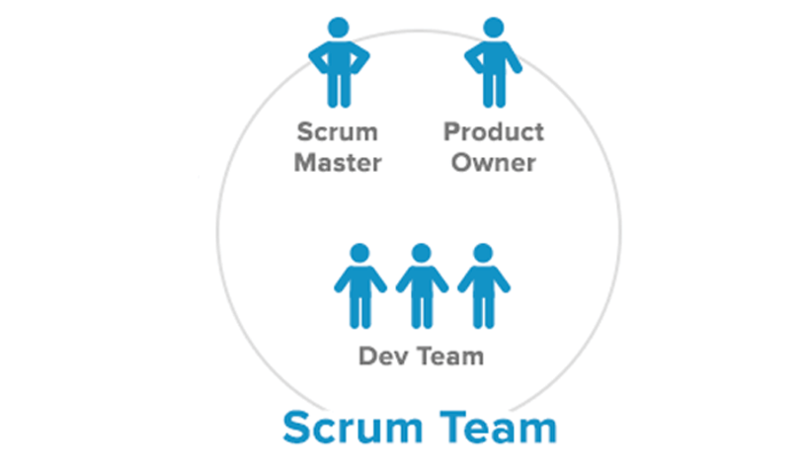 Scrum makes no distinction between someone involved in marketing and a developer – they’re all part of the Development Team. The Development Team is self-organizing and cross-functional. The Scrum Master is someone who advocates for Scrum, the Scrum guide and helping individuals in a team understand the theory, rules and values of Scrum. They serve the Product Owner, Development Team and the organization at large. A typical Scrum scenario might go something like this: John, the Product Owner at a SaaS organization, has to develop a new app. First, John will gather the requirements by looking into use-cases and discussing with other members of the team including engineers and stakeholders to get idea of the project scope. Then after John has collated all the necessary information, he’ll start to put tasks into a backlog. The backlog is where all tasks (or user stories) which pertain to a particular development cycle live. John will prioritize these user stories and estimate how long they will take. Any large, high-level requirements will be broken down into smaller more manageable user stories. Then once John has done this, he’ll be ready to create the sprint. The sprint is simply an iteration, a basic unit of development in the Scrum. The duration of the sprint is fixed in advance and can last between 1 week to 1 month. The reason for short sprints is to be able to respond to any unforeseen changes that could impact the team and/or product. If you’re in a 2 week sprint and developing an iPhone app and suddenly iPhone X is released, your Product Owner shouldn’t have too many problems reconfiguring the backlog and re-prioritize tasks. This is what is known as a pivot and is what makes Agile methodology effective – being able to respond to any sudden changes in circumstance. The Sprint Planning Session is where teams can ask questions, clarify points and discuss whether or not they have the capacity to do the tasks outlined by the Product Owner. Together the teams will commit to complete X number of user stories in a given sprint. Development teams need to work quickly and fast. In other words, they need to be agile. Because market changes can happen without warning, teams have to be able to respond to these changes. During the sprint, the team will have a daily scrum meeting where they outline what has been achieved so far, what isn’t going as planned and any new information that may be relevant to the sprint at hand. The sprint concludes with John talking to the Scrum Master about what has worked and what hasn’t worked in the sprint. Sprint retrospective – a review of the good, the bad and the ugly of the sprint. 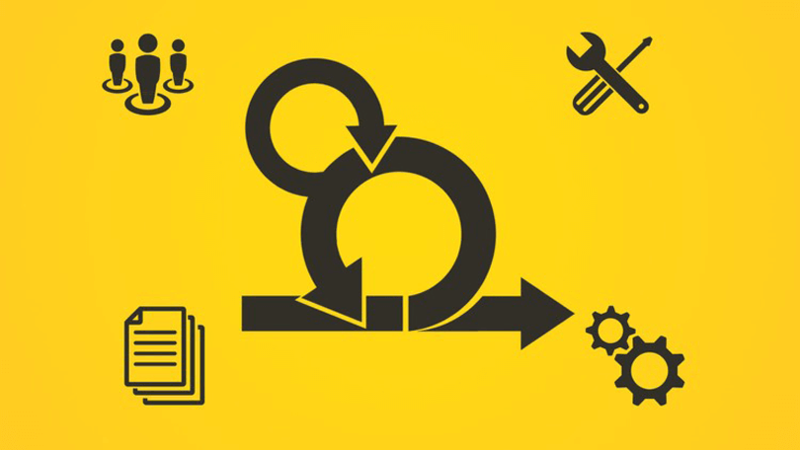 Since a sprint will focus on the creation and implementation of a product, which requires extensive coding, you might be wondering how can design and development work hand in hand using Scrum? Wouldn’t they need to have all the UI assets and information before they can code? To continue our example: the Product Owner, John, will have created user stories for the developers on the team. If one of those user stories is ‘create login page’ then the developers will need to have all the requirements and assets like mockups and prototypes needed for those particular user stories. That means the UX design work has to be completed before the sprint begins. To get around this conundrum, UI and UX design should work ahead of any sprint cycle. Before a developer begins to work on a user story, that user story has to be designed, tested, and researched weeks if not months in advance. If the developer doesn’t have all of this information at their disposal, it’s unlikely that they’ll be able to complete the work in a 2 week or 4 week sprint. The sprint relies on these elements being done in advance and as a result they can’t be done concurrently with development. Where can design fit into the Scrum process? It can be tricky to find out where design fits into the Scrum process. The debate rages on as to whether or not design should even be incorporated into Agile sprints. Thankfully, there are a few different work arounds which may or may not work. It ultimately comes down to what kind of organization you’re in. As already mentioned, the UI/UX work should ideally be done before a sprint begins. This doesn’t mean designers are free from that sprint, however. If a developer needs clarification on a design for a user story they’re working on then the designer should stop their work on the next sprint and focus on the current sprint. In this way, the designer is both looking ahead and staying focused on the present. Likewise, it’s a good rule of thumb to have a developer in the meeting when UX deliverables are being discussed so that they can review and give their insight. UX design and Scrum may not be a marriage made in heaven. Both are needed in organizations which aim to create successful products with awesome user experiences. Since Scrum can be suffocating for a design team, it would make sense for UI/UX designers to introduce design thinking into the mix with Agile methodology. Even though they’re distinct schools of thought, they share many commonalities such as collaboration and empowering people to do what they do best, in the most efficient way. Tom Roach, UX designer at IBM, gives a run down of how they get combined at IBM. Google has a design sprint kit which can be used to bring a design thinking framework into your Scrum process. There are templates and frequently asked questions to give you an idea of how to get started. A Scrum Master will be able to get their head around the concepts of the design sprint in no time. There’s also the lean UX approach. Lean UX is focused on the experience under design and not so much on deliverables. Lean UX mimics the same life cycles of a traditional Agile approach but is centered around design. It’s also collaborative at heart and cross-functional. The lean UX approach can be surmised as “think, make, check”. This loop is a quick way of saying that you brainstorm and ideate before moving onto prototyping and wireframing to then iterate and test. This approach can be done before, during and after you have a minimum viable product. 69% of UX practitioners are using an Agile approach. Even though Agile is difficult to marry with UX design, it’s not impossible. NNGroup found that Agile UX works best when management values user experience design and when UX designers show leadership. That requires a looser process that isn’t too strict and a organizational understanding of UX and the value it brings. Agile UX brings agility to UX design and by bringing UX design to Agile, it makes the process more flexible by allowing design to work on sprints in advance. Agile UX won’t work if you have a Scrum Master who’s too stuck in the rulebook. Bringing together Agile methods and design thinking might not be the easiest task. But companies which fully embrace the value of design thinking with the efficacy of Scrum should aim to create a system that works for their organization and is tailored to their team’s needs and values.